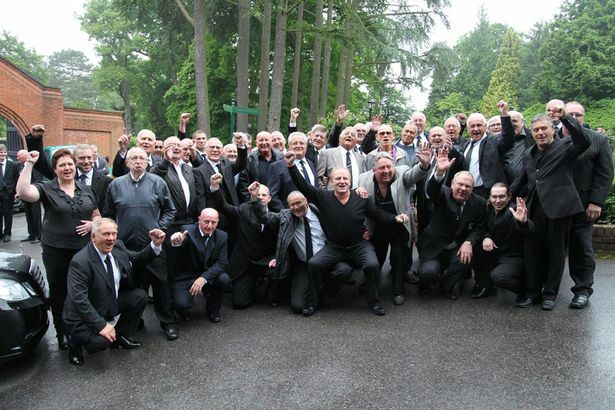 Fourth Picture: Friends, family, fans and old opponents say farewell to the wrestling legend Mick McManus. For years television viewers in the UK would tune in to ITV on a Saturday afternoon hear Kent Walton's opening line "Greetings, grapple fans" as he introduced Saturday afternoon wrestling as part of ITV's long running World of Sport programme. One of those fans who would never miss this programme was my granny who would sit there and shout and scream at the wrestlers! Kenneth Walton Beckett was born in Cairo on August 22nd, 1917, he was the son of the Minister for Finance in the colonial government and grew up in Surrey and was educated at Charterhouse. He studied acting at the Embassy School of Acting in London and then appeared in repertory before the start of World War Two at which time he joined the RAF as a radio operator and front-gunner. At the same time he began to supress and moderate his public school accent while mixing with the Canadian airmen on the base. After the war he briefly returned to acting but soon became both a sports commentator and a Radio Luxembourg DJ. In 1949 he married Lynn Smith, the ex-wife of Leslie Grade and they had a son. 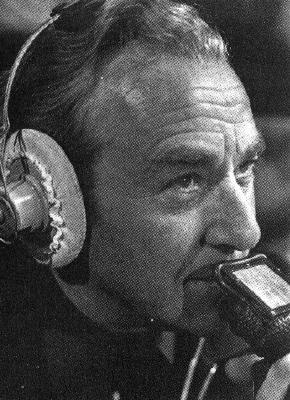 When ITV was given the green light to broadcast to the nation in the mid 1950s Kent Walton sent in his application and was hired by head of Associated-Rediffusion, Roland Gillett. He was assigned to sport, covering such events as tennis, badminton and football. 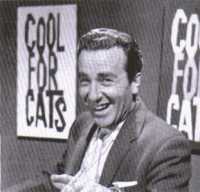 He also introduced one of the earliest commercial TV pop music shows, Cool for Cats (now who remembers that?) Soon promoted to Sports Programme Organiser, he became very much involved in the planning and operation of ITV's weekly Cavalcade of Sport. He was chosen by Associated Rediffusion's Head of Sports, Ken Johnstone, to commentate on the first televised wrestling bout in 1955. The problem was that he was given the job with just a week's notice despite never having been to a wrestling bout in his life. So a couple of days before the broadcast he went down to the gym with Mick McManus and got him to demonstrate the various holds. Soon he had mastered the terminology and allegedly began to make up names for moves himself. On 9th November 1955, at 9pm he introduced TV viewers to All In Wrestling for the first time. The show was broadcast from West Ham Baths and signalled the start of a 30 + year run which was only ended in 1988 by ITV's Head of Sport, Greg Dyke, because he felt it 'presented the wrong image' to the channel's viewers and advertisers. But during that run wrestlers such as Mick McManus, Steve Logan, Les Kellett, Giant Haystacks and Big Daddy became household names. It was a poor decision by Dyke and a few years after wrestling was axed, backed by the big US networks, American Wrestling became a multi-million dollar industry. At the height of its popularity Saturday afternoon wrestling in the UK attracted a regular audience of 12 million viewers. Finishing just before the football results, Kent Walton would sign of with his trademark "Have a good week - till next week." Reportedly among wrestling's biggest fans were Margaret Thatcher and the Queen. During his career Kent Walton did numerous voice-overs for television commercials and was one of the founders of Pyramid Films responsible for making a number of easily forgettable 1970s cheap 'skin-flicks'. But to wrestling fans of a certain age throughout Britain, Kent Walton will be always remembered quite simply as "The Voice of Wrestling". Kent Walton passed away on August 24th, 2003, just two days after his 86th birthday. One final note: Wrestling legend Mick McManus was literally counted out for the last time at the crematorium in June 2013 as his family, friends, fans and old foes from the ring packed his funeral. As the curtains were about to close around the coffin, the crowd stood in silence as a ringside bell tolled ten times to signify his passing. He was 92 and died at a home for retired entertainers in Twickenham, South West London, the previous month. Many closest to him said it was from a broken heart as he had been left devastated by the death of wife Barbara earlier this year after sixty years of marriage. On 12/03/1960 the number one single was Why - Anthony Newley and the number one album was The Explosive Freddy Cannon - Freddy Cannon. The top rated TV show was The Larkins (ATV) and the box office smash was Psycho. A pound of today's money was worth £13.68 and Burnley were on the way to becoming the Season's Division 1 champions. On 12/03/1961 the number one single was Walk Right Back/Ebony Eyes - Everly Brothers and the number one album was The top rated TV show was Bootsie & Snudge (Granada) and the box office smash was One Hundred and One Dalmations. A pound of today's money was worth 13.25 and Tottenham Hotspur were on the way to becoming the Season's Division 1 champions. The big news story of the day was The Dickie Henderson Show (AR). On 12/03/1962 the number one single was Rock-a-Hula Baby/Can't Help Falling In Love - Elvis Presley and the number one album was Blue Hawaii - Elvis Presley. The top rated TV show was Coronation Street (Granada) and the box office smash was Lawrence of Arabia. A pound of today's money was worth £12.89 and Ipswich Town were on the way to becoming the Season's Division 1 champions. On 12/03/1963 the number one single was The Wayward Wind - Frank Ifield and the number one album was Summer Holiday - Cliff Richard & the Shadows. The top rated TV show was Coronation Street (Granada) and the box office smash was The Great Escape. A pound of today's money was worth £12.64 and Everton were on the way to becoming the Season's Division 1 champions. On 12/03/1964 the number one single was Anyone Who Had a Heart -Cilla Black and the number one album was With the Beatles - The Beatles. The top rated TV show was Coronation Street (Granada) and the box office smash was Dr Strangelove. A pound of today's money was worth £12.24 and Liverpool were on the way to becoming the Season's Division 1 champions. On 12/03/1965 the number one single was It's Not Unusual - Tom Jones and the number one album was Rolling Stones Number 2 - The Rolling Stones. The top rated TV show was Coronation Street (Granada) and the box office smash was The Sound of Music. A pound of today's money was worth £11.69 and Manchester United were on the way to becoming the Season's Division 1 champions.